A legal and public career that spanned the state, nation and globe will be commemorated next week when the UO School of Law pays tribute to the university’s late President Emeritus and law school Dean Dave Frohnmayer at a symposium in Portland. “Celebrating the Career of Dave Frohnmayer” will be the theme of the annual Oregon Law Review Symposium on April 1. That evening, U.S. Sen. Ron Wyden will receive the 14th annual Frohnmayer Award for Public Service at a separate reception. The events will be held in the Sentinel Hotel, 614 SW 11th Ave. in Portland. Registration closes March 28. The symposium will offer a retrospective of Frohnmayer’s storied career as well as some commentary on his accomplishments as an attorney, Oregon attorney general and UO president. Current UO President Michael Schill will be among the speakers, along with Attorney General Ellen Rosenblum and former Attorney General Hardy Myers. Frohnmayer died in March 2015 after a five-year battle with prostate cancer. He was 74. At the symposium, speakers will discuss subjects that are part of Frohnmayer’s legal and civic legacy, including religious conflict and religious freedom, the humanities and leadership and his service as Oregon attorney general from 1981 to 1991. 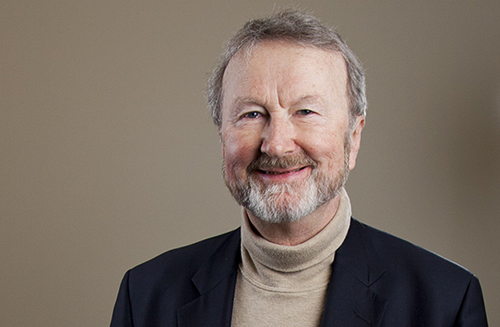 Choper, Frohnmayer’s mentor at the University of California, Berkeley, law school, will speak via video about his longtime relationship with the former UO president. One of the more anticipated panel discussions will delve into Frohnmayer’s contributions to Oregon government and administrative law. Panelists will include Myers, Oregon Supreme Court Justice Jack Landau and Eugene attorney Bill Gary, Frohnmayer’s longtime deputy in the state justice department when he was attorney general. Schill will close the symposium with a talk about Frohnmayer’s legacy and higher education in Oregon. Wyden, a 1974 graduate of UO Law, will receive the Frohnmayer Award for Public Service at a reception following the symposium. The award recognizes a law school graduate, faculty member or friend whose public service brings honor to the school. This year’s award carries a special meaning because it is the first to be granted since Frohnmayer’s passing. No award was given last year out of deference to his then-recent death. Wyden is Oregon’s senior U.S. senator, serving in the post since his election in 1996. Prior to that he had been a member of the U.S. House of Representatives since 1981. Law school Dean Michael Moffitt will open the reception, followed by remarks by Schill. Rosenblum will talk about Wyden’s accomplishments before welcoming him to the stage and presenting the award. The recipient of the Frohnmayer Award for Public Service is chosen through nominations received by the Law School Alumni Association. Frohnmayer was the first recipient of the award in 2002.